This Tuesday, October 6th, Riki Kuropatwa will launch her latest collection of work titled Contact. This work has been and continues to be an evolution of an exploration Kuropatwa began in 2009 with her very first 'Derby' pieces. 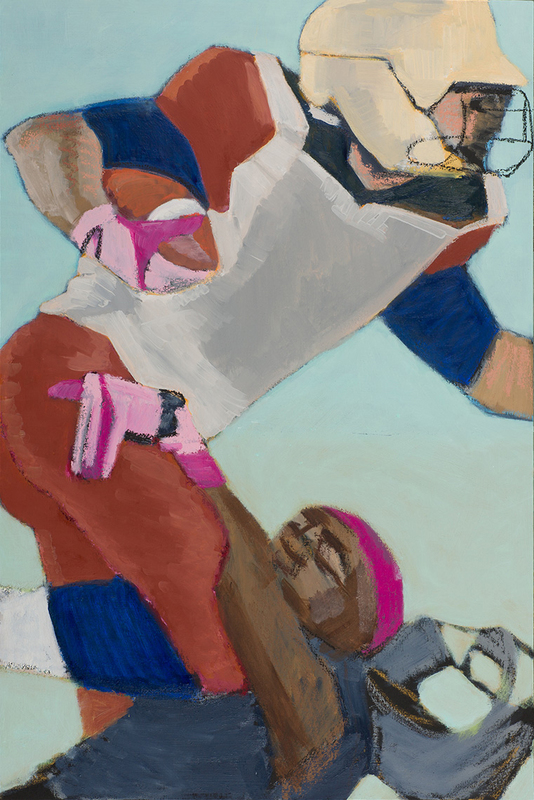 The theme explores the physicality, tension and form of athletes in their element while contrasting that behaviour with societal expectations around homoeroticism, and defined femininity and masculinity. This is Kuropatwa's first show as an Art Perspective represented artist. She has been working closely with our principal dealer to curate the collection and is looking forward to showing in the found space of the Cory Christopher Design Studio (Back Lane, 10914 105 avenue). "The space is beautiful, and has a very Kubrick feel, which will be really great for the show." said Kuropatwa speaking about the space within the studio. If you are unable to attend the show but are interested in Kuropatwa's work, please contact us for images, sizing and price details.